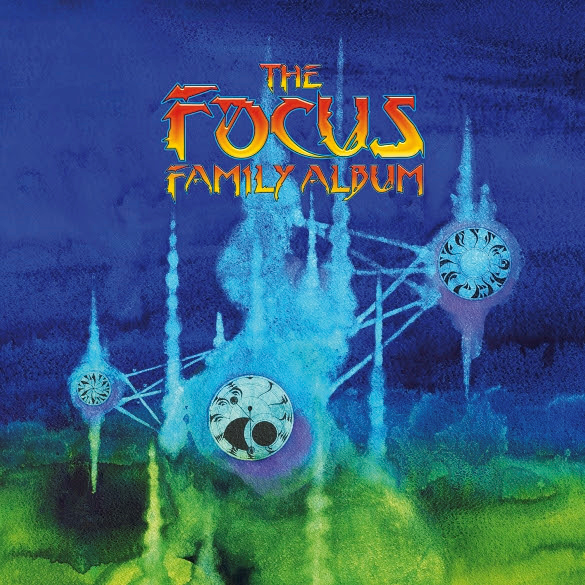 JP's Music Blog: CD Review: Focus Releases Gems From The Vault On New "Family Album"
CD Review: Focus Releases Gems From The Vault On New "Family Album"
The Dutch classic rock band Focus did some digging in the vaults to release a new double album titled "The Focus Family Album." The new 20-track, 2CD set features 15 unreleased songs from the band's recording sessions for "Focus X." This set will give you more insight into the process that Focus went through to record some of their most recent albums. The first disc begins with the gentle flute solo "Nature Is Our Friend," performed by Thijs Van Leer, before heading into the 9-minute guitar blues solo of "Song For Eva." The new set continues with the thunderous drum solo "Riverdance" and the exciting improv studio jam "Mosh Blues." The first disc closes with the classic hard rock driven "The Fifth Man" and the short, atmospheric feel of "Clair-Obscur." The second disc leads off with Thijs Van Leer once again with his flute on the naturalistic sounds of "Let Us Wander?." One of the more complete songs in this set is "Birds Come Fly Over (Le Tango)" as Focus continue to be one of the pillars of progressive rock. The classic blues sound of "Fine Without You" and "Five Fourth" are stellar standouts on this new release, which closes with the experimental sounds of "Winnie." Focus will be heading to the U.K. in October. For a complete list of shows and to find out more about their latest release "The Focus Family Album," please visit focustheband.com.